South Park School was built in 1894. It is the oldest building in Western Canada that has continuously operated as a school. In September of 1974, the school became South Park Family School, an alternative school in the Greater Victoria School District. It was saved from closure at that time by parents from a cooperative preschool who wanted to continue to be involved closely in the education of their children. Today, South Park parents are involved in every aspect of school life, and with their variety of talents and interests they provide richness to our program. All staff and parents are addressed by their first names. Students are taught to take responsibility for their own learning. Cooperation is encouraged rather than competition. A variety of assessment tools, including student self-assessment, beginning in Kindergarten are used instead of letter grades. Twice a year parents come to Student-Led Conferences where their children explain their progress and their goals in all areas. Fine arts are a major focus, for we know that there is a strong connection between creativity and intellectual development. 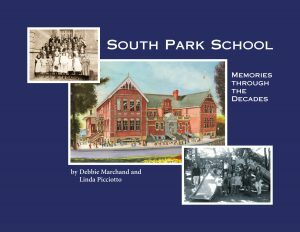 If you’re interested in learning more about the fascinating history of South Park School and how it has survived to become the oldest continuously operating school in western Canada, go to the website listed below to view a copy of South Park School: Memories Through the Decades. Two former South Park teachers, Linda Picciotto (1980-2005) and Debbie Marchand (1995-2012) wrote this book together using memoirs written by former students, staff, and parents. They also included photographs, articles and interesting facts they collected from school, city, and provincial archives. It is a fitting tribute to a much-loved school. Hardcopies of the book are also available for purchase in the school office or you can view online.